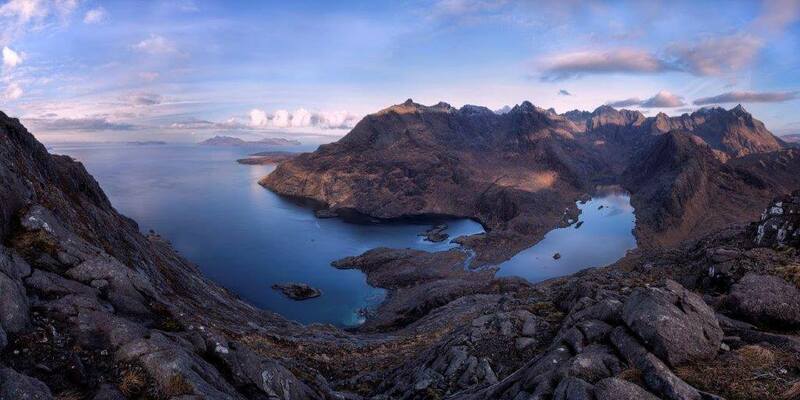 The isle of skye is an extremely popular holiday destination in the Highlands of Scotland. 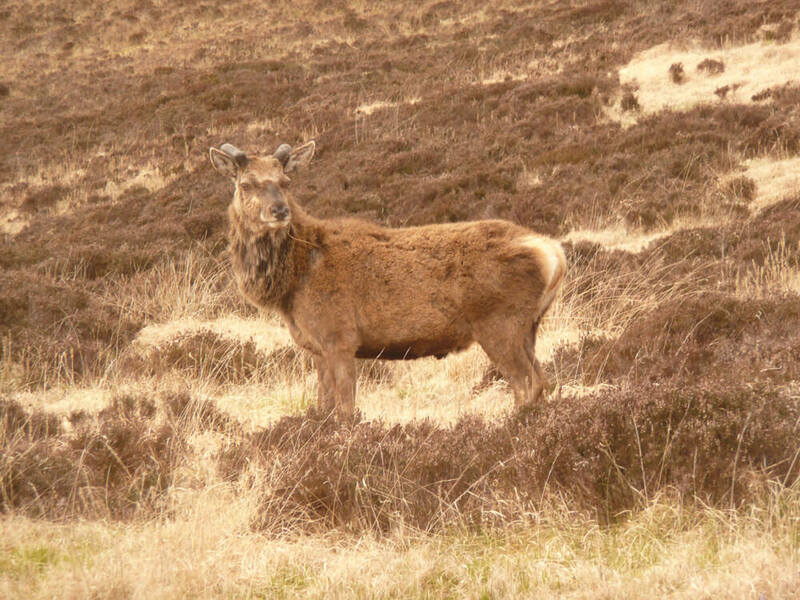 It has nearly as much recognition as the Highlands themselves. 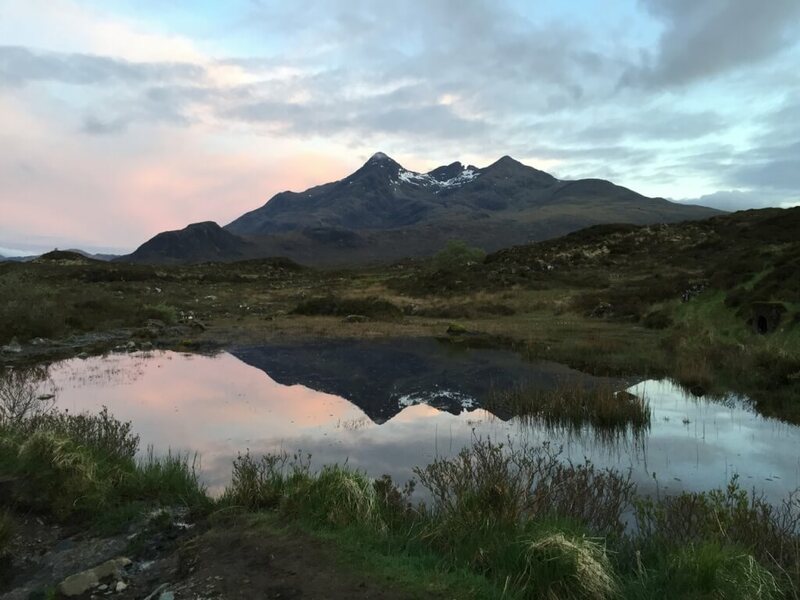 We visit the isle of skye regularly throughout our summer season. 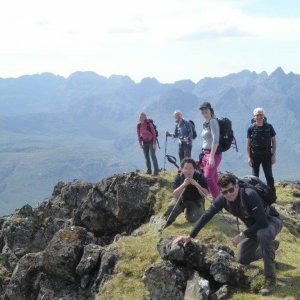 This week of Munro bagging in the Black Cuillin is one of the most strenuous itineraries in our programme. There is no day off. Every day we will be heading out to hike. 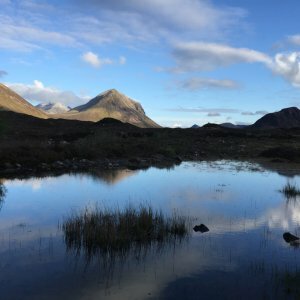 This is a fully inclusive week of walking on the isle of skye. We include everything from your arrival at one of our meeting points. 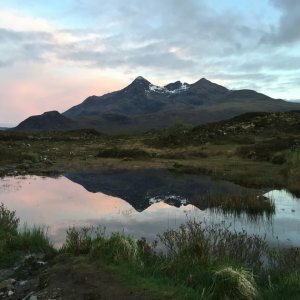 When you arrive, we will pick you up from Aviemore or Inverness, if you are travelling over to Skye with us. 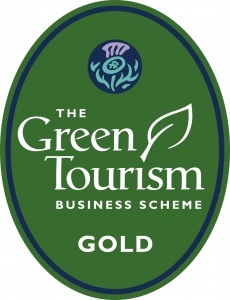 Alternatively if you are already over on the west coast, we can meet you in Fort William, Broadford or Portree. 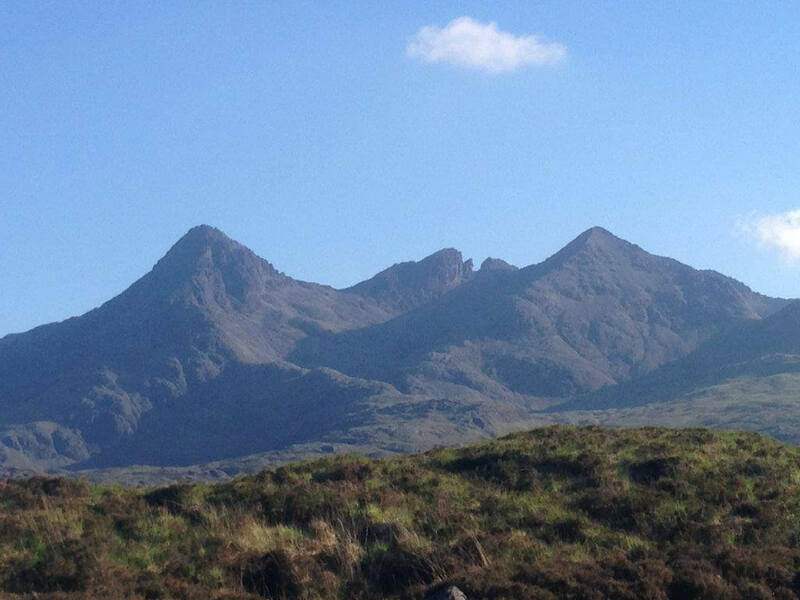 When we have good weather, the walking in the Black Cuillin will be spectacular. 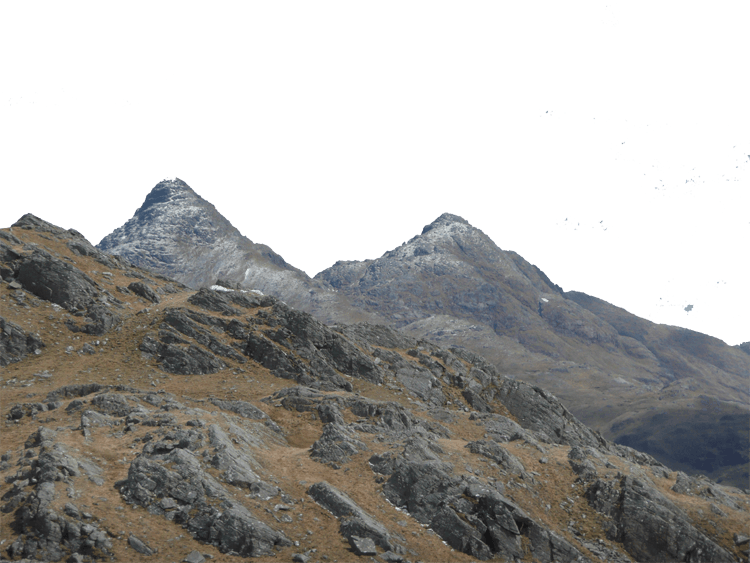 The sharp edges of the mountain skyline has a lot of visual appeal. 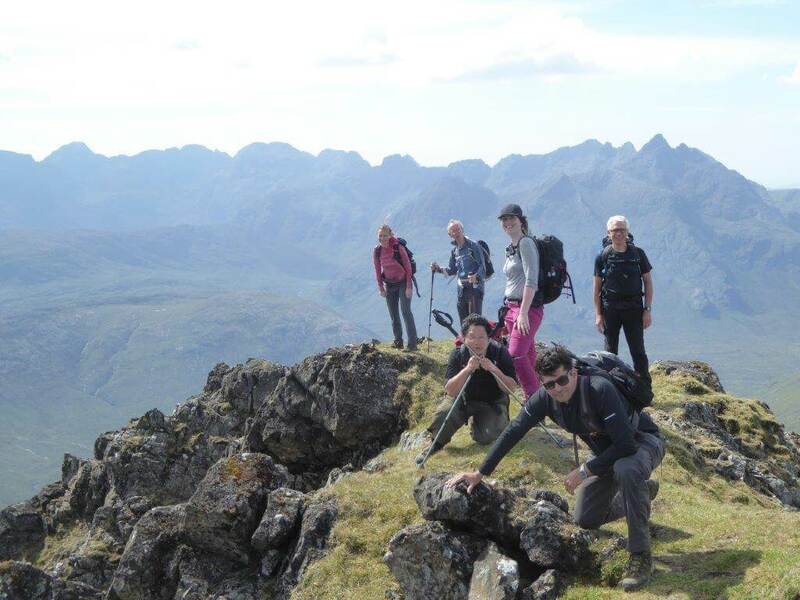 Do be aware though, that the stark and barren nature of the Cuillins does have some drawbacks. 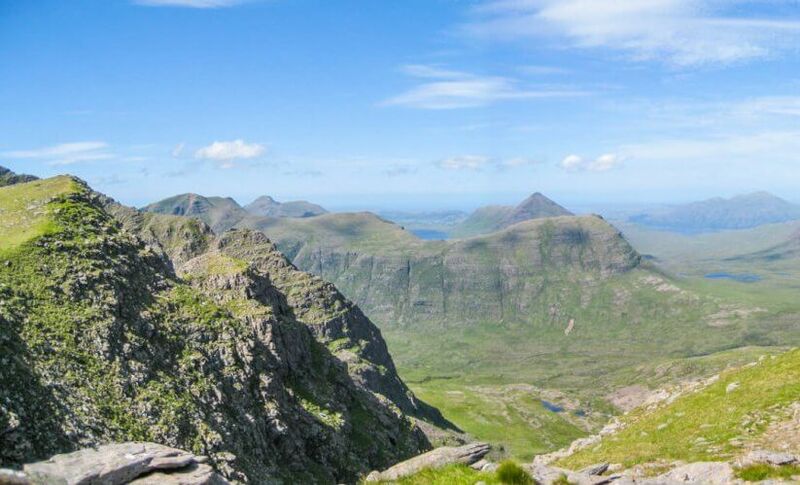 Scrambling will be required and scrambling gloves will be necessary or your hands could be cut to pieces. You will find some days on this trip very strenuous. If conditions underfoot are poor, you could be returning for dinner very late in the day. 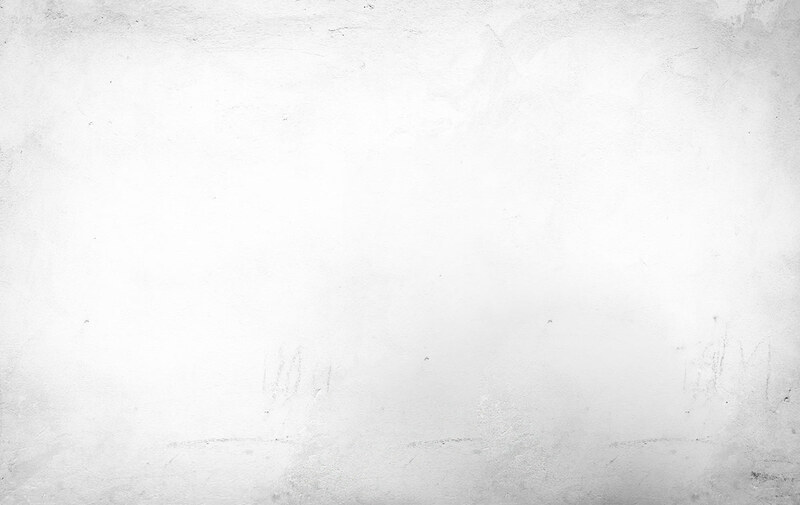 The scenery itself is a reward. Hopefully you will return home with excellent photographs to share with your friends. Skye is connected to the mainland with a bridge these days so is it technically an island anymore? Nonetheless it is still a remote destination and we would highly recommend travel insurance. 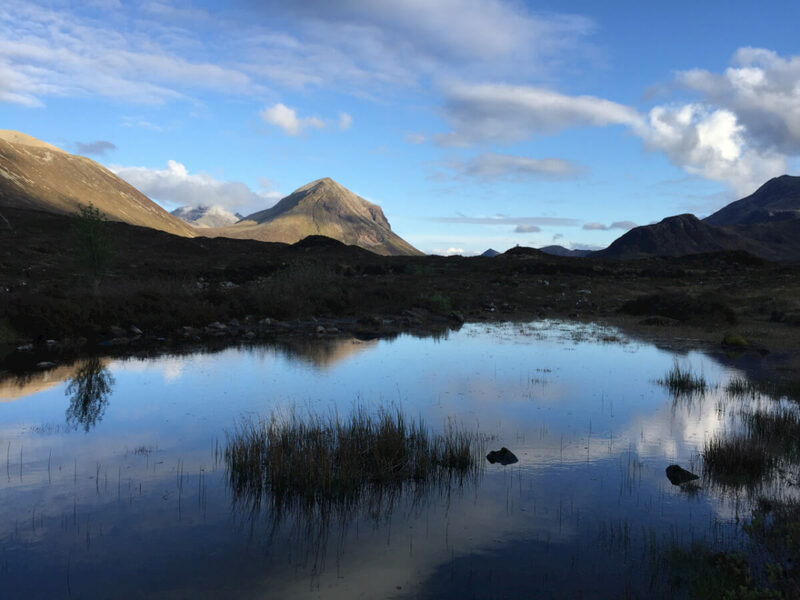 We do run other less strenuous trips to Skye: Skye and the Cairngorms – a more gentle adventure using Skye Yurts as our base and the Superlative Skye itinerary exploring the Trotternish Ridge on the most northly finger of Skye. 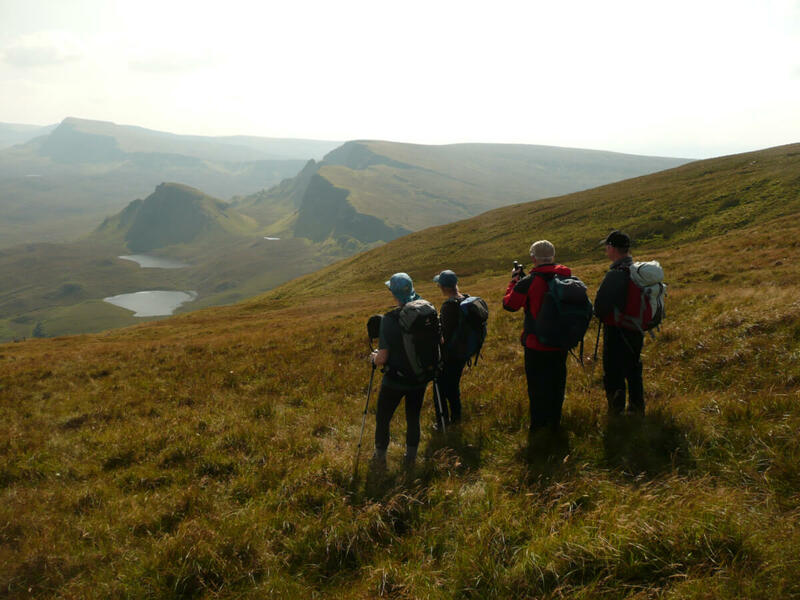 Guided walking on the isle of Skye without the roped climbing. Day of arrival: travel up to join the group in time for dinner. 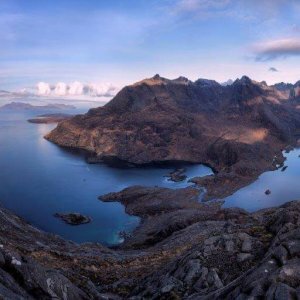 We offer pick up from Aviemore station, Inverness airport and meeting on Skye. 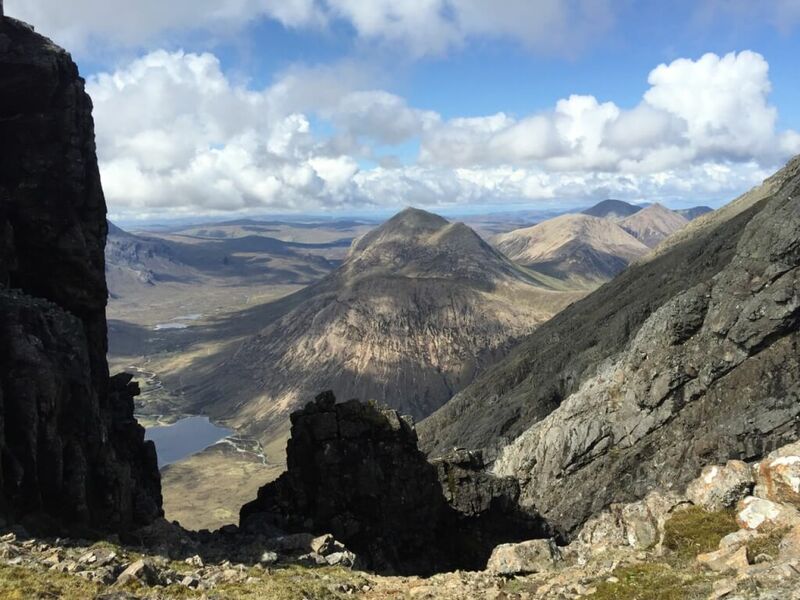 Sgurr nan Eag is the most southerly of the Cuillin Munros on the main ridge and by Cuillin standards provides an easy but wonderfully airy walk along the summit ridge. An easier climb to a fine summit. 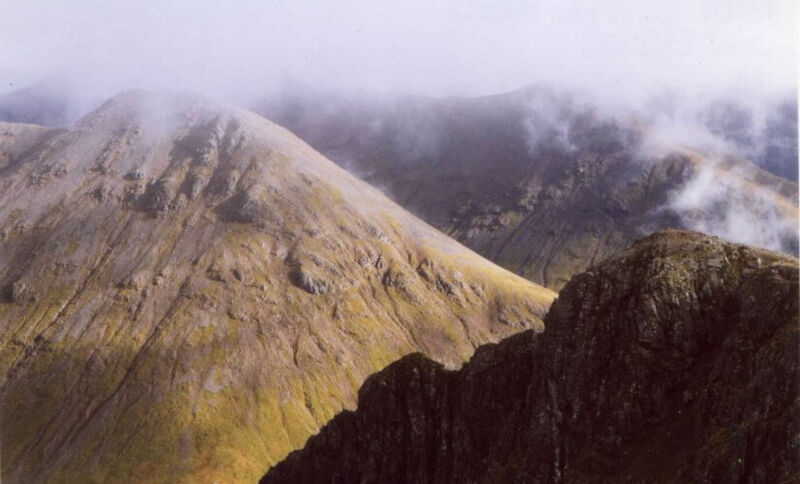 Sgurr Alastair has a beautifully airy pointed summit, fittingly for the highest point in the range. Starting from the Sligachan, this route heads up to the skyline taking in some of the most photographed scenery in Skye. 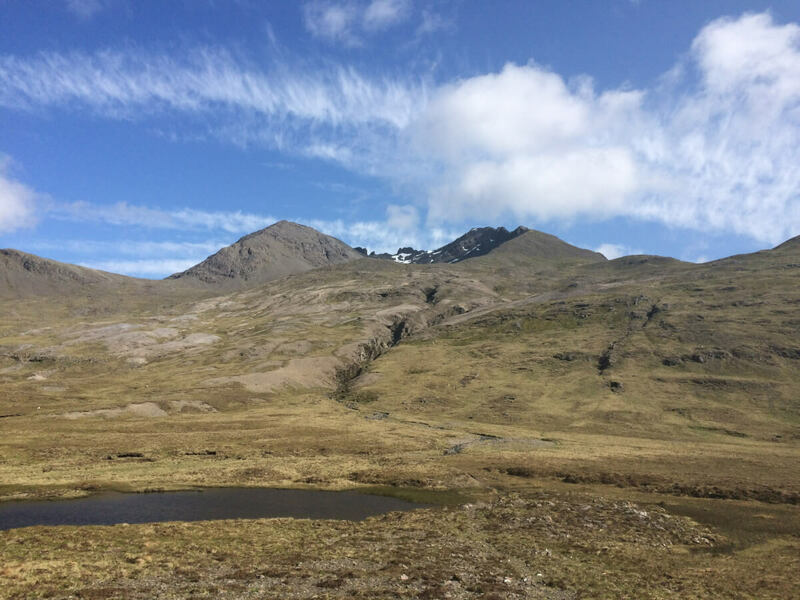 The mountain presents an elegant outline of 4 peaks with the munro summit being on the right. It provides an excellent viewpoint. Day of departure: we’ll head off the Isle of Skye after breakfast to drop off as requested in Inverness, Fort William or Aviemore. 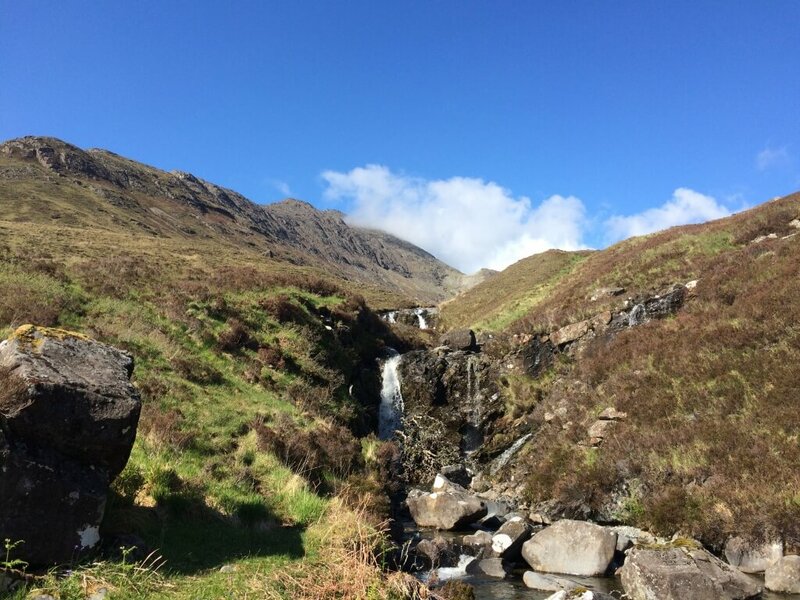 It’s hard hiking the Munros on Skye but all the views make is well-worth it in blue sky weather. 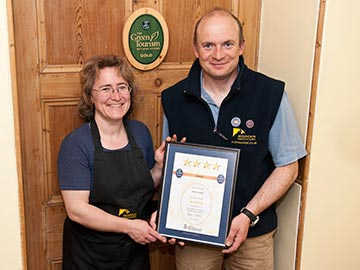 For this week our home base is at the Seafield House in Portree. The house is an historic Georgian building right on Portree Bay. There are 5 bedrooms and excellent views from the garden. There is one single room at the house which will be available on a first come, first served basis.